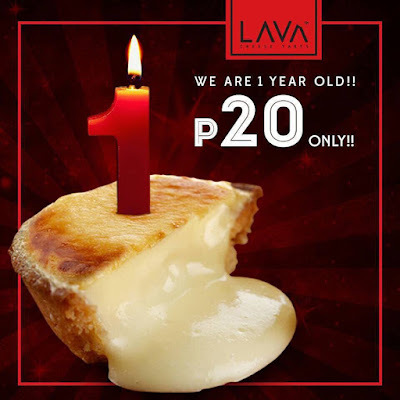 It's Lava Cheese Tart's First Anniversary! And as big thanks for making Lava the # 1, the biggest, and the leading Cheese Tart in the Philippines in a span of 1 year, they will be selling their most popular Lava Cheese Tart Original Variant FOR ONLY P20** per piece! Don't miss their Anniversary Promo happening on November 11, 2017 from 12nn to 5pm only. So plan your weekend, and head to any of Lava Cheese Tart's 4 stores: SM Aura, Uptown Mall BGC, SM Megamall, and SM North! !